The Audi AG of Germany has reached the second position of the luxury car segment in the Indian automobile market and now it is being bombarded with huge demands for its products. In order to meet this rising demand and meet its ambition to become the number one luxury car brand in the Indian subcontinent, Audi has plans aimed at raising its capacity of production by 50 per cent of its current capacity. Audi intends to achieve this target of raising the production capacity at its Aurangabad plant by adding a second shift. In the previous year Audi India produced 6,000 units and in the current year the firm intends to dispatch 9,000 units of its luxury rich cars to the Indian automobile market. It is because of these commendable figures that were achieved last year and in the very first three months of 2012 which has made it possible for Audi to beat its competitor Mercedes-Benz. This way Audi India emerged as the number two best brand making the sales of luxury cars in the Indian automobile market. The first position in the sales of luxury cars volume wise has been acquired by the BMW that was just 100 car units ahead of the Audi India in sales. Audi India is determined to take over the top position from the BMW and it has already commenced the work in order to achieve that target. 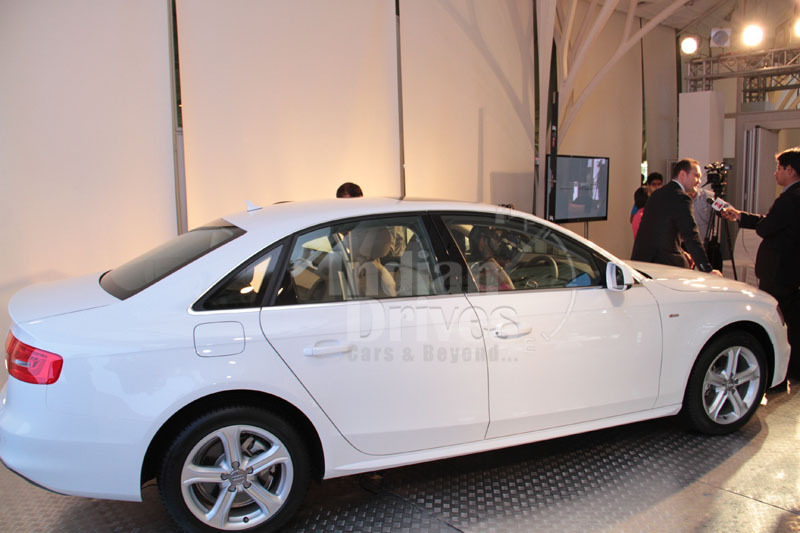 Audi has released its revamped version of the Audi A4 just yesterdaywhich is a sedan with a base price tag of Rs.27.33 lakh (ex-showroom, Maharashtra) while it is about to release the much anticipated crossover Q3 in the Indian automobile market. As the government of India has raised its customs duty on the CBU imported cars by 15 per cent in the Union Budget of 2012-2013, it makes the assembling of a car in the local facility more appropriate. Therefore the Audi has planned on assembling the highly anticipated Audi Q7 and some more models in India that would in turn benefit both the customers as well as the company. With a raised productivity, the cost of production would also become a bit less. If the company decides to share this particular benefit with its customers then it would force more and more people to consider buying the luxury cars of Audi. With all the strategies for marketing and after sales service, Audi has been expanding its dealerships in India for some time now. This expansion has helped Audi to bring itself closer to its prospective customers who do know about the company, but are not very well aware of its products and facilities provided by the automobile major to its customers. The company intends to be as close to its customers as it could possibly be. With the increased production, the company will be ready to meet the increasing demand of the customers seeking luxury cars in India.